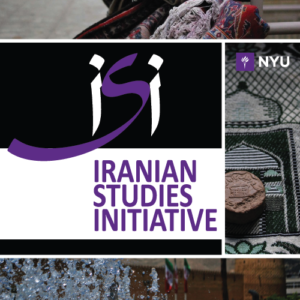 This screening program comprises a partial survey of the myriad ways Iranians have represented and been represented by American and European others throughout modern cinema. 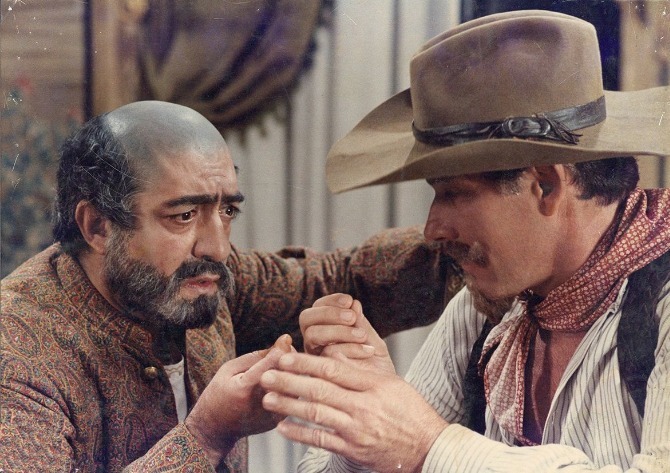 From anti-colonial Iranian comedies to European auterist documentaries; straight-to-video B-movies to film festival winners; state-funded to Hollywood produced, these films chronicle a complex relationship spanning several nations, political epochs, and a circuit of ideologies. A fictionalized account of the first Iranian ambassador in the United States, Haji Hossain-Gholi Khan, a loyal Qajar statesman who goes to Washington to found an embassy. After meeting with President Cleveland, Haji proudly rents a mansion and hires several servants and staff, however there are no Iranians in Washington and the embassy does not have any visitors. Haunted by nostalgia for home and his beloved daughter, Haji becomes plagued by nightmares. In his reports to the King, he writes exaggerated narrations of his activities using grandiose ornamented language. Funds dwindle and the embassy begins to disintegrate; the staff leaves and Haji’s dialogue with the King slowly declines into a personal monologue. One night president Cleveland shows up in the embassy. An excited Haji entertains his guest single-handedly while dreaming of writing another grandiose letter to the King of Persia only to learn that his guest is no longer president of United States, but a simple farmer who wants to learn how to grow pistachios. Not long after, a Native American enters the embassy to seek asylum and a friendship grows despite their inability to communicate. Haji refuses to handover the refugee and is removed from his post. Haji, now in the state of madness, boards the boat to return home. Tiffany Malakooti has worked with Bidoun since 2008, primarily on archival and film projects. She has collaborated on programs with the Beirut Art Center, the Guggenheim Museum, and most recently was a co-curator of Reza Abdoh at MoMA PS1. She also works as a graphic designer for art publications.